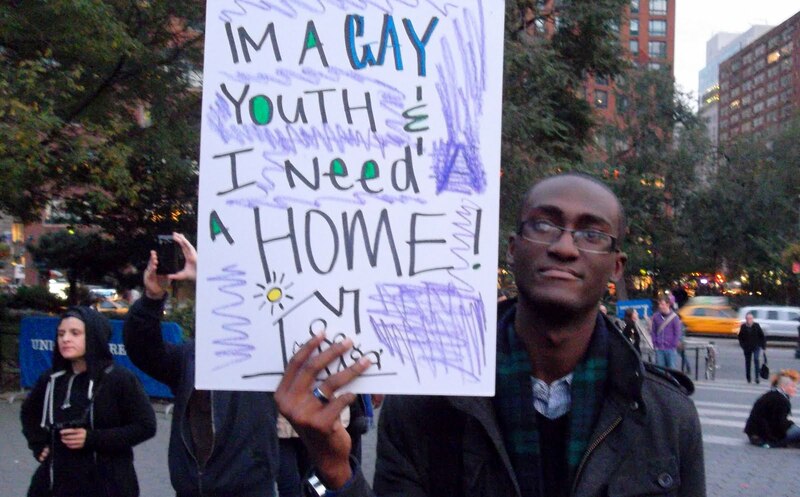 How Can the Christian Community Support LGBT Homeless Youth? This is a Follow-up Article by New Ways Ministry to yesterday’s very important article on homeless gay youth. How Can the Catholic Community Support LGBT Homeless Youth? Yesterday, Bondings 2.0 highlighted the religious rejection that too often causes LGBT youth to experience homelessness, and we called on Catholics and other people of faith to participate in GLAAD’s #SpiritDay this October as a sign of love and acceptance for upwards of 400,000 LGBT youth inhabiting American streets. Today, we take a look at the flip side of the relationship between LGBT youth homelessness and religion, specifically Catholicism. Examples of Catholics and those rooted in the church’s tradition confronting general homelessness abound, and it is a source of comfort for me that the church has such a fervent commitment to children in poverty. But what about LGBT youth? Siciliano founded the Ali Forney Center in response, a shelter in New York City devoted exclusively to LGBT kids and teens without housing. Siciliano has also become an advocate, questioning where the tax dollars are for these youth and what Pope Francis’ impact has been. The Rolling Stone articles highlights the first of these, noting a lack of government funding exacerbated by a further lack of LGBT protections to assist LGBT youth. Of more than $5 billion in federal funding annually funneled to address homelessness, a very small percentage targets youth. The Runaway and Homeless Youth Act (RHYA), a primary source of youth funding around this issue, does not ban LGBT discrimination and it does not look likely that such a clause will be added to a new version of the Act which expired last fall. This situation leaves the US with only 4,000 beds nightly for an estimated 1.7 million homeless youth. There are further complications when factoring in religious organizations. Because President George W. Bush channelled government funds to faith-based providers, LGBT youth may face further discrimination if they seek services at faith-based care providers who are not inclusive and do not provide for this population’s unique needs. Given the track record of local Catholic Charities affiliates when it comes to non-discrimination laws around adoption and the Hobby Lobby debacle earlier this year, would Catholic groups end social services to homeless youth if they were required to be LGBT inclusive? There is another angle, touched upon yesterday, when it comes to Catholicism’s response to this epidemic of homeless LGBT youth and that is the pastoral care that also needs to be provided. Siciliano wrote public letter to Pope Francis published in the New York Timesthis spring and pleaded for the pope to act forcefully against the causes of religious rejection afflicting LGBT youth. Indeed, though Pope Francis has not directly addressed this issue, I think he points the way forward for American Catholics. The pope’s emphasis on accompanying the poor as a mandate of faith needs no comment, aside from a reminder that he chose to dine with the homeless for his birthday, and the Jesuit church in Rome held a funeral for murdered transgender woman who had been homeless that respected her gender identity. Pope Francis chooses mercy over judgment, over caring for and including those on the margins, rather than rejecting them. On a personal level, participate in #SpiritDay on October 16th to let LGBT children and teens know there are supportive people of faith in their lives in their communities. New Ways Ministry is joining with other faith-based and LGBT groups to co-sponsor #SpiritDay with GLAAD. We hope you will join us and help us spread the word! For more information, click here. On a parish level, begin efforts to address these LGBT youth-specific injustices. Whether this means broader education efforts about sexual orientation and gender identity or augmenting existing efforts to confront homelessness by tackling the unique needs of LGBT people experiencing poverty. Do something small to start and build upon it. On a state and national level, become involved with legislative efforts to meet the specific needs of homeless youth generally, including those needs of LGBT youth. Homelessness among LGBT youth is not simply a Catholic or faith problem, for there are a myriad of other factors influencing each person’s life. But Catholics have both a mandate from Christ to care for those least among us and a faith responsibility to combat negative religious beliefs that result in rejected youths.